Ferrari replaced its F355 in 1999 with the aluminum-bodied and curvaceous 360 Modena coupe. Two years later, in 2001, a Spider version debuted. 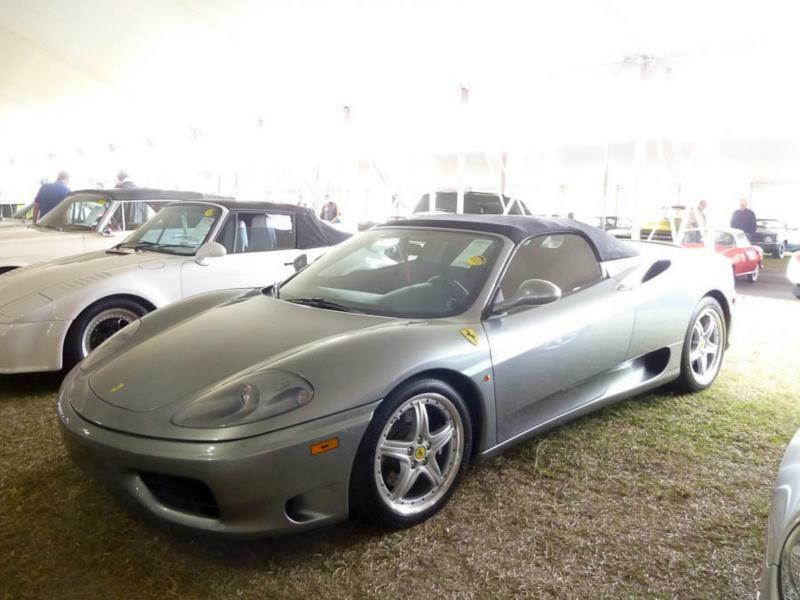 As promised, the Ferrari 360 offered a commensurate leap in performance over the F355 due to extensive use of aluminum throughout, as well as a new 3.6-liter V-8 engine that produced 400 horsepower. A paddle, F-1 type 6-speed transmission became an option in 2000, joining the standard 6-speed manual unit. The car was capable of a 4.3 second 0-60 time. In all, nearly 17,000 Ferrari 360 coupes and Spiders were built through the end of the 2005 model year, making them fairly easy to find. The 360 has mostly proven to be a relatively reliable and easy Ferrari to own. For example, major belt service can be completed with the engine in the car, whereas the F355’s V-8 had to be removed in order to perform the timing belt service. That said, some reoccurring problems have appeared on the 1999-2001 360s, including cracked motor mounts, failed transaxle throwout bearings, and minor issues surrounding the hydroelectric pump on cars equipped with the F-1 transmission. Most of these troubles were corrected under warranty and aren’t a problem today; however, prospective owners should confine their search to cars that show evidence of redress in these areas. Cars newer than the 2001 model year were mainly free of the aforementioned issues, with the only other caveat being to ensure proper operation of the complex top mechanism on 360 Spiders. This is a particularly costly fix. Popular options when the Ferrari 360 Modena coupe and Spider were new included a “challenge” style rear grille that mimicked those on 360 Challenge race cars, as well as Tubi or other aftermarket exhausts. A rare option was a removable roof panel that was fitted to approximately 13 coupes. Several Challenge Stradale coupes were built as well, and they offered 25 additional horsepower as well as 240 fewer pounds in weight compared to a standard 360 coupe. As expected, their 0-60 time was a quicker 4.1 seconds, and they sported an upgraded suspension and brakes to take better advantage of the increased performance. Узнайте про интересный портал со статьями про http://top-obzor.com.